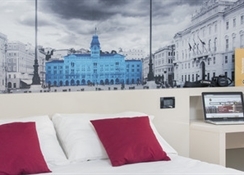 This city hotel is set in a neo-classical building dating back to the Austro-Hungarian period. Renovated in 2009, it offers guests use of a living room with authentic antique furniture and permanent contemporary art exhibitions. It is possible to book spaces at the property for meetings and congresses. Guests can enjoy breakfast in the comfortable dining room or simply relax and unwind in the elegant ambience of the hotel after a walk around the city or a hard day's work. The hotel has a total of 50 guest rooms, as well as a lobby with 24-hour reception and check out, a hotel safe, lift access, a TV lounge and a café. 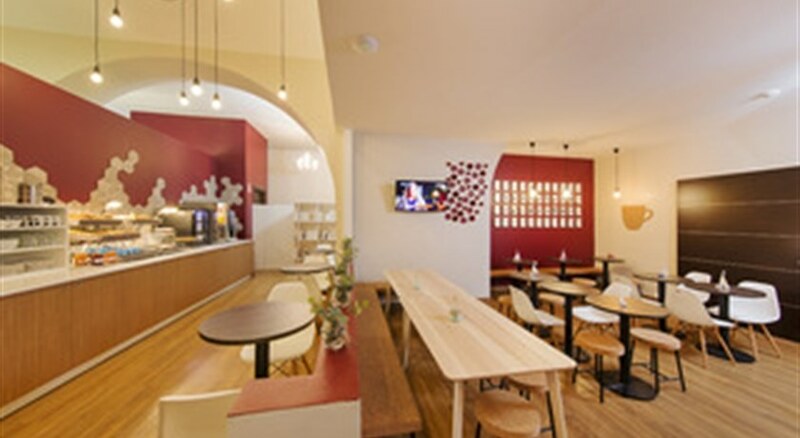 For an additional fee guests can make use of the hotel's WLAN Internet access, laundry service and garage. Opicina Golf Course is just 20 minutes away by public transport. 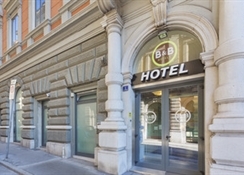 The hotel is located right in front of the railway station. Just some of the attractions close to the hotel are the historic city centre, the harbour and the Miramare Castle. The bus station is within 100 m of the property. 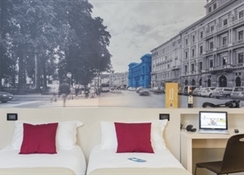 Friuli Venezia Giulia Airport is 4 km from the hotel, while Marco Polo International Airport is approximately 140 km away. Each room comes complete with an en suite bathroom with shower and bathtub, a hairdryer, a double or king-size bed, a direct dial telephone, a satellite/cable television and Internet access. A safety deposit box, a fridge, tea and coffee making facilities and a balcony or terrace also come as standard. The rooms are fitted with heating and air conditioning. From Friuli Venezia Giulia Airport take bus number 51. The bus stops just 80 m from the hotel.